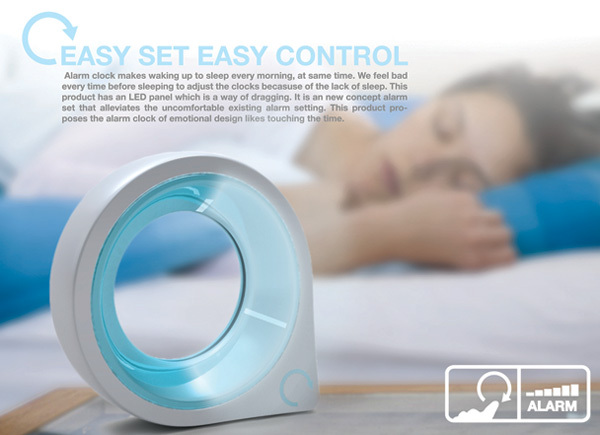 The Easy Set Easy Control Alarm Clock is quite cute if you ask me. Intuitive touch LED panel with dimmer lights that let you know instinctively how much time left, before the alarm goes off. The concept agrees with me because I am one of those people who keeps checking the time on my iPhone and mentally calculating how much till 5:00 am.